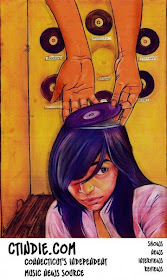 Myty Konkeror - I miss the future. 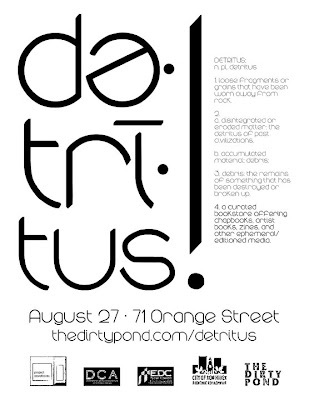 On Friday, August 27, 2010, DETRITUS opens its doors. From 6 pm - 8 pm, words and refreshments, compliments of Bespoke, will be offered. 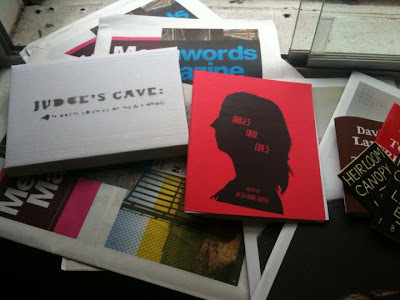 DETRITUS is a curated bookstore offering chapbooks, artist books, zines, and other editioned and ephemeral print media, opening in downtown New Haven. DETRITUS has been furbished with repurposed industrial materials, and the shelves stocked with an eclectic mix of independent and local print media. Included will be Showpaper (bands take note, as much as Showpaper poopoos the internet, we love and support what they do), the Judges Cave box set, 12 Sun Songs, and Bas Morsch (The Moi Non Plus). Also, along with the ever awesome Redscroll Records, DETRITUS will be another source for tickets to all Manic Productions shows. For the next few months, DETRITUS will host engaging, interactive events that facilitate collaboration and engage the community. 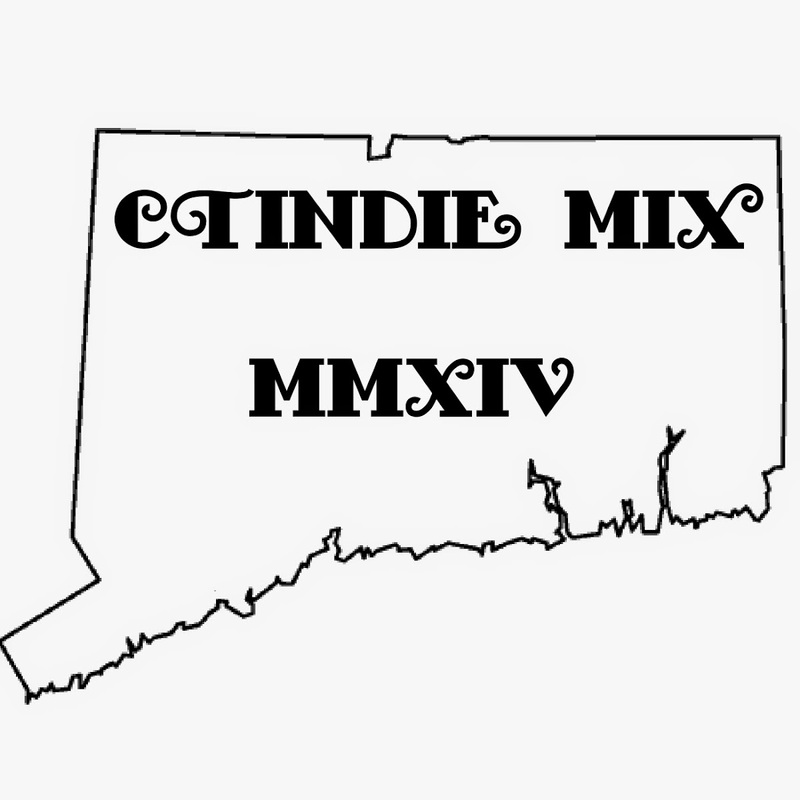 Events like multimedia readings, film screenings, workshops, and book signings, all to meet their goal of bringing our creative community together, and expand its reach beyond New Haven. 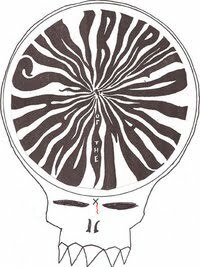 There will be an all ages after-party at Popeye's Garage by Shaki Presents featuring Sunburned Hand of Man, Rubber Leather, and Creepoid at 8 pm. RSVP to the event here. 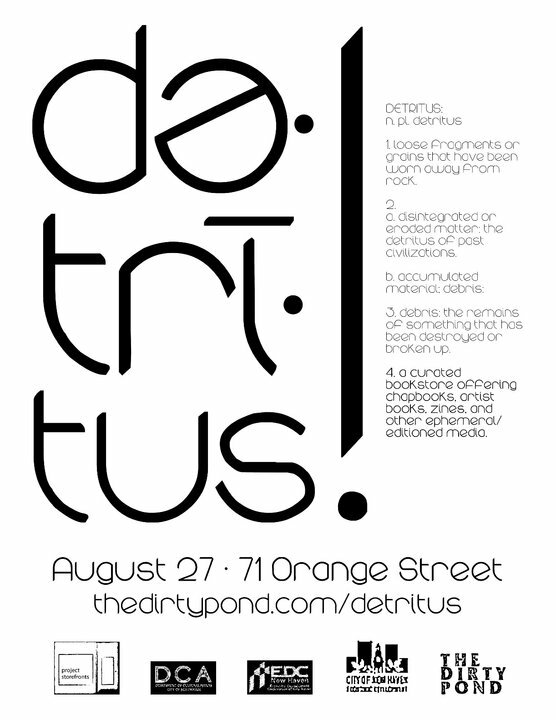 DETRITUS is a project of The Dirty Pond, a locally-focused online literary journal. DETRITUS is made possible through the support of Project Storefront, a pilot program of New Haven's Economic Development Corporation, the Departments of Economic Development and Cultural Affairs, and New Haven Festivals, Incorporated. Through the generous support of the Residences at Ninth Square, DETRITUS is located at 71 Orange Street in the heart of downtown New Haven's Ninth Square and granted a lease of 90 days. DETRITUS is also a fiscally sponsored project of Fractured Atlas, and through this organization has been granted temporary 501(c)3 status.